My wife and I hosted two back to back small-scale parties at our place over the weekend. It was amazing! And cooking for parties is one of the things that I look forward to the most as a chef. Back in the old days, I used to make a bean dip for parties, visiting, hosting etc. I had a small group of people who would actually invite me to events specifically for my bean dip. They loved it! And it wasn’t Paleo in the least. 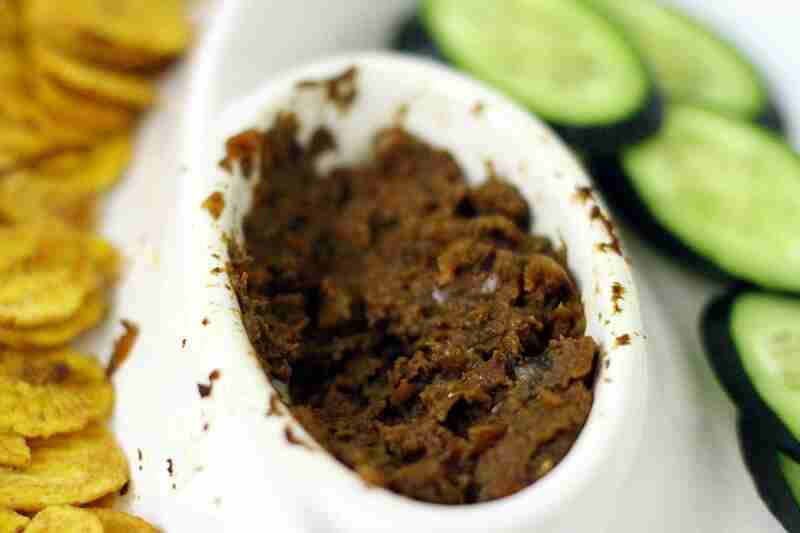 So, in honor of the old days, I put my creative energies to good use over the weekend, and came up with a recipe for a thick mushroom dip (called “tapenade” in the title) which replaces the otherwise missing go-to party dip which I used to make. 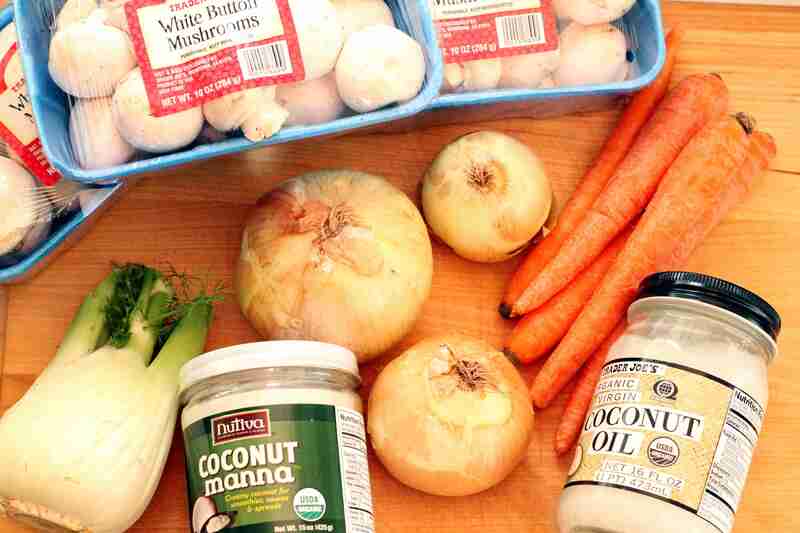 In a slow cooker, combine the chopped mushrooms, shredded carrots, one cup of water and the coconut butter. Start the slow-cooker on high, and turn it down after about 30 minutes of cook time. I like to chop the mushrooms coarsely. This will all need to be processed later in a blender, so I don’t worry too much about the size that I chop the mushrooms down to; I just want to make certain that they are small enough that the cooking is effective. I “shred” my carrots on a cheese grater, and like the mushrooms, I don’t worry too much about them being chopped smaller because this will all be blended later. Let the whole mixture cook on high for several hours (I cooked this for 4 hours before processing; and served shortly after that) stirring every 30 minutes or so. Turn it down from high to low after the first 30 minutes. You can let this cook for anywhere between 1 and 6 hours without any real fear of over-cooking. 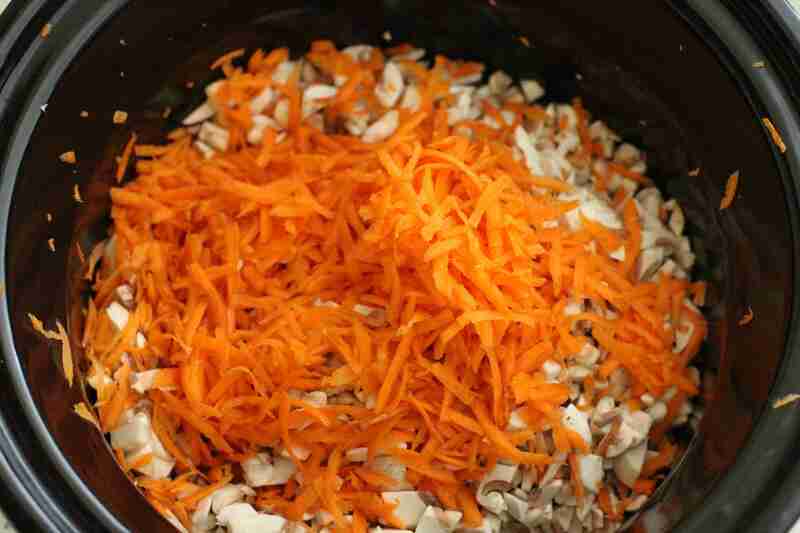 About 30 minutes before serving, blend the cooked mushrooms and carrots in a blender. I do this in small batches, about 1/2 cup each batch, otherwise the stirring and re-running the blender will be a very labor intensive process. Put the blended mushroom mix back in the crock-pot, and turn it back up to high. Now is a good time to add the spices and stir them in. Once the mushroom/carrot mix has been blended, start the onions and fennel in a frying pan with coconut oil. I chop the onions and fennel fairly finely, since these will not be blended. These will provide the “chunks” that you expect from a good dipping sauce or tapenade, as well as most of the texture, so make sure that the size you chop your onions and fennel to is the size you want in the dip. You can season the onions and fennel as well. 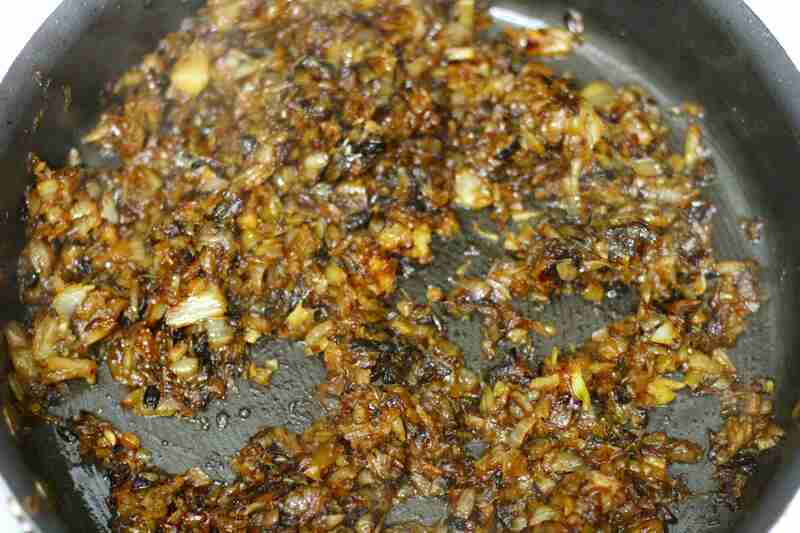 I cook on a medium-high heat (about 6 or 7 out of 10) and it took me about 5 minutes to caramelize the onions and fennel. Add the caramelized onions and fennel to the mushroom mix and stir. This is ready to serve as soon as the onions and fennel are added to the mix. This can be kept warm in the crock-pot for more than an hour before the onions will start to break down, so don’t worry if you finished a little early. 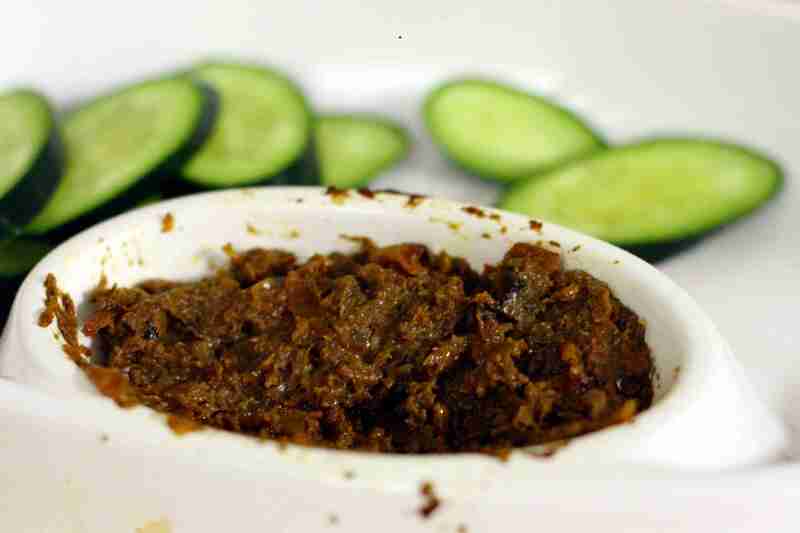 I like to serve this with sliced cucumber “chips” for dipping. This is also great on any other type of vegetable, as well as Plantain Chips if you can find them. Leftovers will go great as a top-sauce for a seared steak or pork. This is an Urban Paleo Chef original, so I really hope you all love it! Let me know what you served this with in the comments section! And if you modified the recipe at all, let me know what you added, what spices you used, and how it worked out? This looks fantastic! I am growing some mushroooms in one of my kitchen cabinets right now, i will definitely have to make this once I have a full harvest! Nice! Let me know how it turns out with the home-grown varieties! I’ll stop in and check out your site too – sounds like a great mission and resource!